I along with TASC Hon.Sec Ian Gordon were present at the Memorial Ground in Penryn on Saturday for the Tribute Cornwall 1 clash between the two promoted sides from Cornwall 2 last season, Camborne School of Mines and Bodmin. 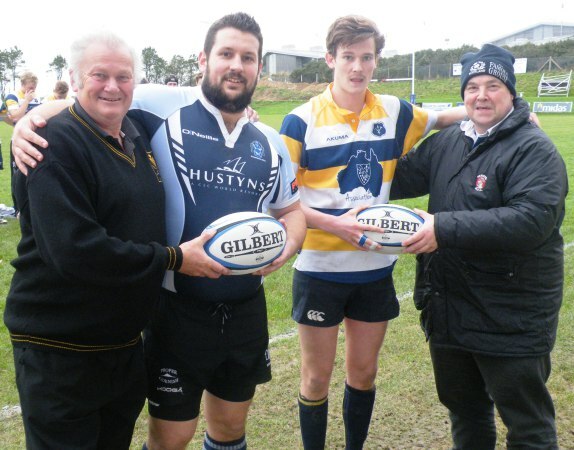 We were delighted to present both clubs with a couple of rugby balls in recognition of their successes. A small token but one which I know clubs are appreciative of. We will be making further presentations to clubs that achieved promotion last season during the course of the season. We are also pleased to announce that we will once again be involved with the County U.7’s tournament at Penryn RFC in April. This is how we use the funds we raise to plough back into grassroots rugby locally with help and support. The game itself was a great advert for rugby at this level, both sides scored a couple of unconverted tries but it was the two penalties kicked by the students that got them the win 16-10. In the other games in Cornwall 1, leaders Liskeard-Looe won at Roseland 36-3. Perranporth beat Helston at Ponsemere 29-8, whilst Stithians defeated St. Agnes 10-3 at Enys Parc. In Tribute Cornwall 2 a tough battle for leaders Illogan Park who eventually won 29-23 at St. Day. St. Just defeated Camelford at Tregeseal 24-0. Redruth Albany got the better of Lankelly-Fowey at Trewirgie 31-29. In the Greene King IPA Championship, the Cornish Pirates lost out to a last-gasp penalty at Jersey 27-25! Read Phil Westren’s match report in the link here. In National League 2 South, Launceston followed up their win last week at Southend with a 22-20 win at Polson against Chinnor. Sam Chapman and Kyle Moyle scored the All Blacks’ tries with Kieron Lewitt kicking three penalties and Jake Murphy kicking the winning points with Lewitt in the bin. Redruth are still looking for the elusive first win on the road after losing 46-22 at Canterbury. They were well in contention for 60 minutes but sadly fell away in the final quarter as injuries and no doubt the travelling caught up with them. Chris Fuca, Greg Goodfellow and Nick Simmons all scored for the Reds with Murray Westren kicking to conversions and a penalty. 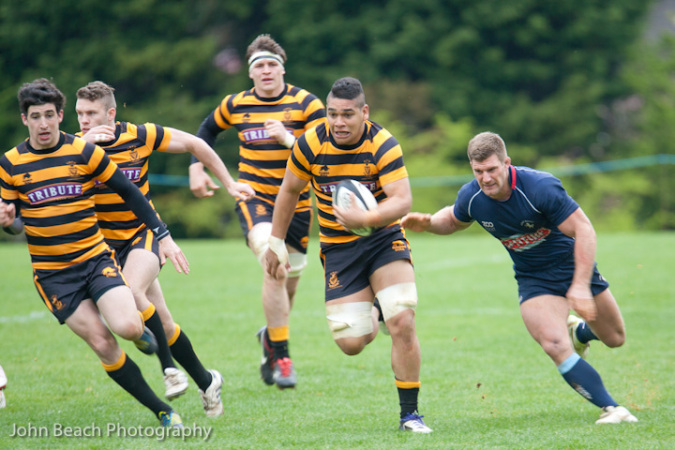 The Quarter-Finals of the Tribute Cornwall RFU Knock out Cup produced two keenly contested ties. In a repeat of last season’s final Camborne again got the better of Wadebridge Camels 19-18 at the Molesworth Field. Grant Thirlby kicked the winning penalty to put the Cherry and Whites through and a semi-final tie against Penryn, who had a walkover against Newquay Hornets, at the Rec. Adam Notman and James Goldsworthy scored Camborne’s tries with Thirlby adding three penalties. Camels scored three tries through Matt Ballard, Jack Scott and Richard Treleaven. Josh Taylor kicking a penalty. St. Austell came through a tough battle with Truro 34-27 at Tregorrick. Matt Shepherd bagged a couple of tries and kicked nine points. Other tries came from Hugh Noot, Miles Davey and Dan Pearce. Truro grabbed tries from Carl Ranscombe (2), Jamie Moore and Luke Tidball with Ranscombe adding a couple of conversions and Tom Hadfield kicking a penalty. St. Austell will play Saltash in the other semi-final. The Ashes enjoyed a big win over Hayle at Moorlands 94-10. Up in London it was RFU Intermediate Cup rugby for London Cornish who sadly bowed out after putting up a strong showing at Essex side Rochford Hundred 21-11. Truro born Ben Devonport, on his debut, scored a good try with Sam Williams kicking a couple of penalties. Eleven Cornish lads from the Cornwall 18 Group were involved in the SW Trials yesterday for the Divisional side to represent the South West. Congratulations to Sam Matavesi (Plymouth Albion) who has been called up to the Fiji squad for their final two games on tour against Romania in Bucharest this Saturday and then the Barbarians at Twickenham on the 30th November. Up Cambern! !